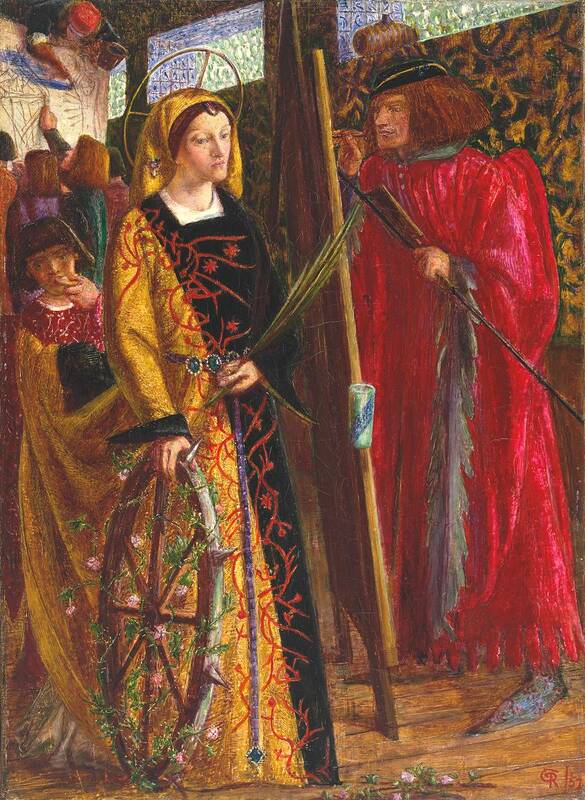 This painting shows a medieval artist in his studio painting a model posing as St Catherine. She holds a palm branch which symbolises her martyrdom and a wheel, the instrument of torture on which she was killed. The picture’s brilliant colour and claustrophobic space are reminiscent of medieval manuscripts and stained-glass windows.During the 1850s Rossetti focused on producing watercolours which he sold privately to individual collectors. This picture is the only oil painting he completed at this time.